During the migration west, the United States saw an increase in both slave revolts as slavery was incorporated into states in the west as well as acts of vigilante “justice" at the hands of white men in order to quell these rebellions. It is difficult for students to comprehend the level of violence and disharmony that went hand in hand with westward migration unless they read first hand accounts of the way justice was handed out during these times. This provides teachers with the perfect opportunity to incorporate some primary source document reading into the curriculum. 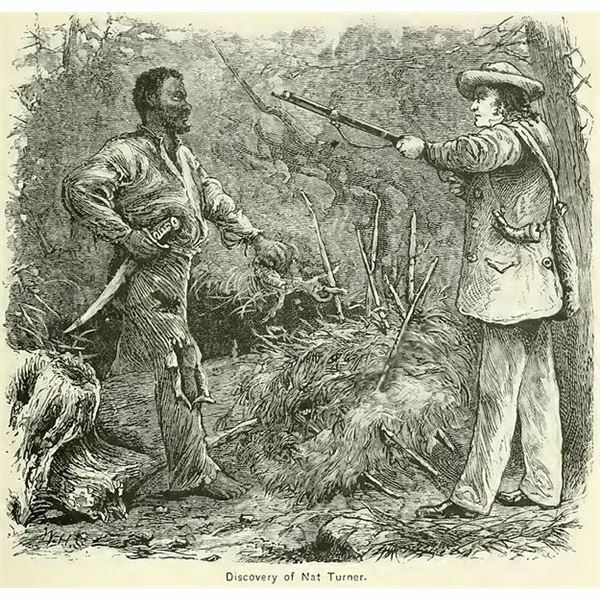 Use the handout on Nat Turner’s Rebellion to take a look at four different primary source excerpts dealing with that rebellion in Virginia. Have students annotate and analyze each excerpt for key facts and details that catch their eyes. Then, have them look at the rules passed in many southern states after the rebellion occurred. Have them discuss the validity and fairness or lack thereof of the laws passed. Which laws do students think the western slave states would implement as they petitioned for statehood and why? What issues regarding slavery would the western states be facing? How might they try to avoid a rebellion such as this one in their newly formed territories? All of these questions can be used to heighten class discussion. Then, have students complete the comprehension questions and writing assignment. Moving on to the next primary source, have students read the excerpt of an example of vigilante justice in a mining community in the west. This first hand account, written by a female, who was the wife of the settlement’s doctor, paints a harsh picture of how punishment was given out in the new U.S. territories and how the settlers reacted to this form of justice. You may want to read through this piece two times, the first time having students read it on their own, taking careful notes and tracking questions they may have and then, read it again aloud paragraph by paragraph, taking time to discuss the details of each paragraph. Finally, have your students complete the questions and the writing. As a culminating activity, use these two sources as a jumping off point for a compare and contrast. How were these two situations similar? How did they differ? Use a Venn Diagram on the board for students to contribute their ideas and then ask them to create an outline, using support from the text pieces, for an essay they would write. If the outlines are well done, you will see that they did indeed get a complete understanding of both primary source articles.